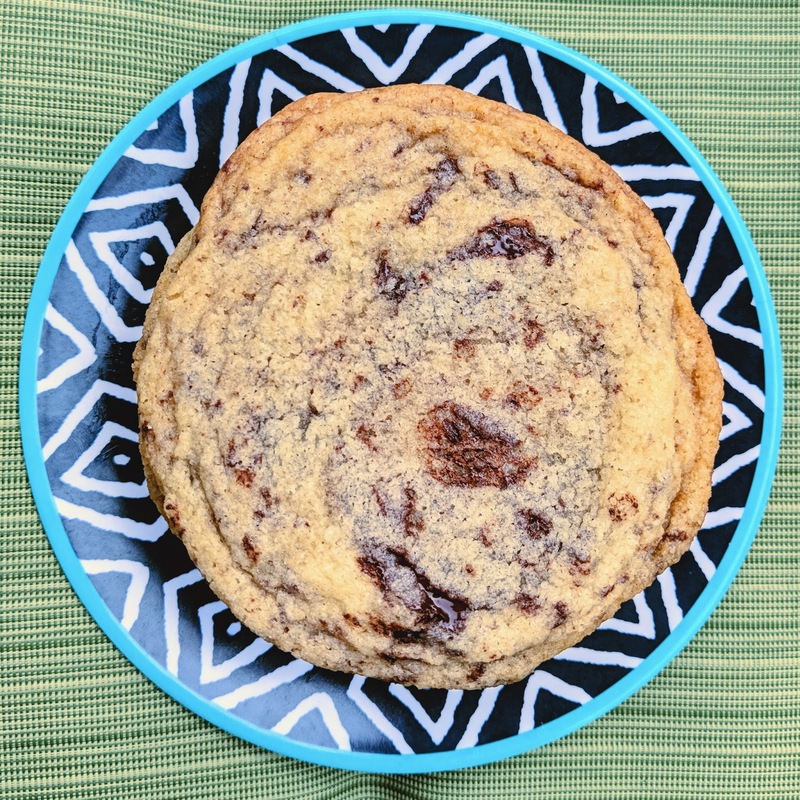 I saw these cookies everywhere, even in the spaces around the paywall the New York Times has for a recipe that wasn't even their recipe in the first place (harumph.) Luckily enough people on the internet have made these cookies that it started to beg the question, why haven't I? And so I did. 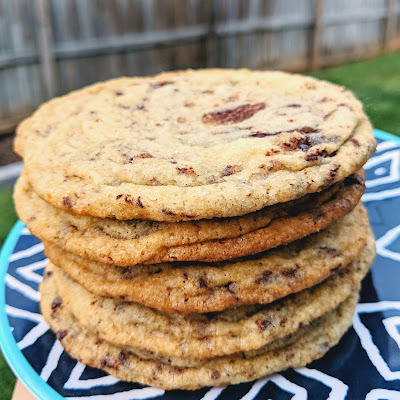 The original recipe creator just calls these chocolate chip cookies but then interrupts the baking process to slam the cookie sheet down on the rack, deflating the cookie and causing ripples or wrinkles in the surface. They are also giant. This is definitely a cookie that is simple enough that it is going to depend on the quality of your ingredients. I used Trader Joe's dark chocolate block for the chocolate in this and I think that's why my cookies tasted a bit off. Look, it's cheap chocolate. I would make these again with higher quality chocolate that doesn't just taste like sugar alcohol. I also overbaked my first batch (not pictured) by only two minutes, and while they were a lovely golden color, they were crunchy all the way through. 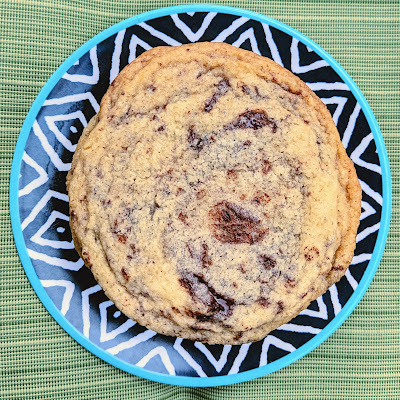 I went for underbaking for the rest, and added a bit of salt on the top, and these two changes made for a more delicious cookie. Line two extra large or three regular baking sheets with parchment paper. In a small bowl whisk the flour, baking soda and salt. In the bowl of a stand mixer fitted with a paddle attachment beat the butter and sugars together until fluffy, about 2-3 minutes. Add the egg, vanilla and water and mix on low to combine, scraping down the bowl to make sure it is all fully incorporated. Add the flour mixture and mix until combined. Add chopped chocolate and mix on low into the batter. Using a large ice cream scoop (or a 1/4 cup measure) form the dough into balls and place next to each other onto one of your prepared pans. Cover with cling film and place in the freezer for 15 minutes (or at this stage you can freezer the dough balls completely, transfer into a ziplock bag and keep for as and when you need them). When you are ready to cook, arrange the cookie balls well spaced apart on the baking sheets (they will spread considerably) and bake for 8 minutes until the cookies are puffed slightly in the middle. Pick up the baking sheets and let them drop onto the oven rack to set the edges of the cookies and the middle deflates (trust Sarah - it feels wrong but works). Repeat this lifting and dropping of the cookie sheets every two minutes three more times (baking 14-16 minutes total) to create the ridges and the crisp edge but with pale and not fully cooked middles. Allow the cookies to cool completely on the racks before removing from the tray. Note: If you skip the freezing stage the cookies will spread too much and not keep their shape. 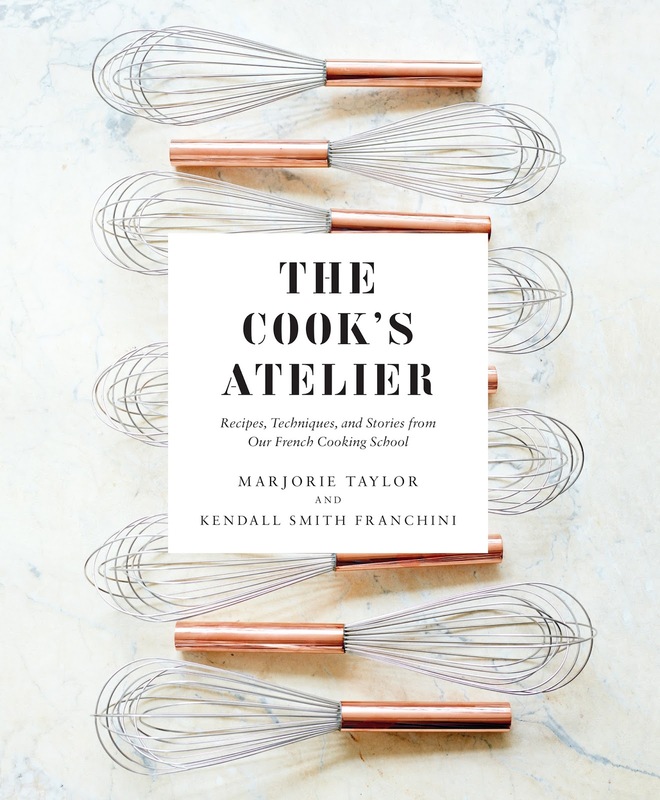 This recipe comes from The Cook's Atelier: Recipes, Techniques, and Stories from Our French Cooking School by Marjorie Taylor, Kendall Smith Franchini, with beautiful photographs (often full-page) by Anson Smart. In the introduction to this recipe, it says "in the springtime, we like to infuse the milk with fresh green garlic, ramps, or even a bouquet garni before preparing the béchamel." 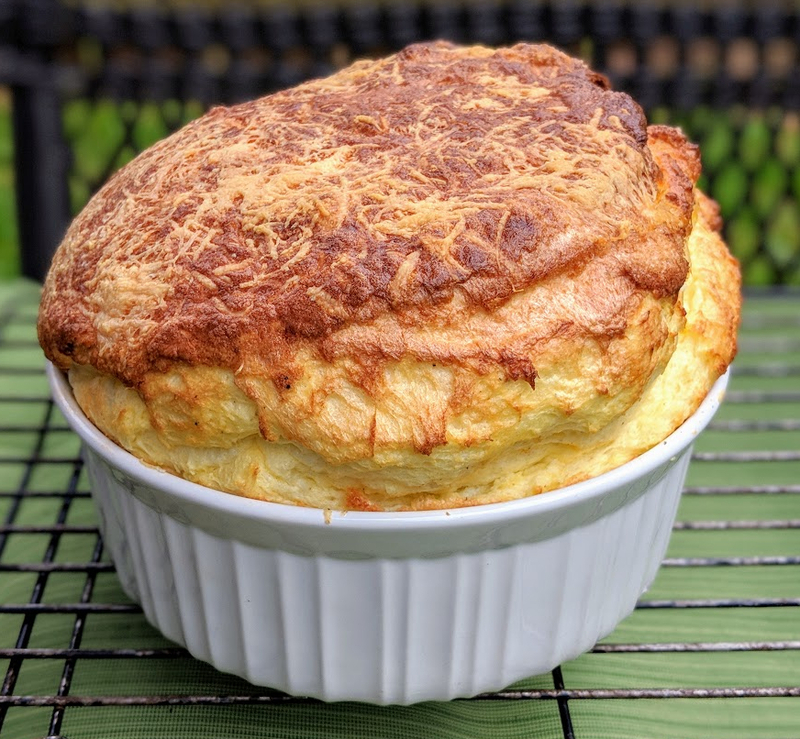 Since my trip to a local grocery with local produce included a bunch of ramps, and ramps have such as short shelf life, I decided they would be perfect in this souffle! I will include the recipe as it occurs in the cookbook but add notes at the end so you can see my changes. Set a rack in the middle of the oven and preheat the oven to 425 F (220 C). Butter the inside of a 6-cup (1.4 L) soufflé mold or eight individual 1-cup (240 ml) ramekins. Sprinkle the inside of the mold(s) with some of the Parmesan, reserving any excess. Set aside. In a saucepan, combine the milk and green garlic. Place over medium heat and bring to just under a boil. Remove from the heat and steep for about 15 minutes to infuse the garlic into the milk. When ready to prepare the soufflé, bring the milk back to just under a boil, then strain out and discard the garlic. In a medium saucepan, melt the butter over medium heat. Add the flour and stir briskly with a wooden spoon until the butter and flour come together, being careful not to let the mixture brown, about 1 minute. Add the hot milk, all at once, and whisk to blend well. Add the salt and pepper, whisking continuously, until the béchamel becomes thick, about 1-2 minutes. Remove from the heat and add the egg yolks, one at a time, until incorporated. Add the cheese, nutmeg, and dry mustard (if using) and stir until fully combined. Transfer the soufflé base to a large bowl and let cool slightly. In a large, very clean, preferably copper bowl, use a large balloon whisk to beat the egg whites until firm peaks form. Stir a large spoonful of the whipped egg whites into the base to begin lightening it. Using a rubber spatula, gently fold in the remaining egg whites, working quickly to keep the base light and airy. Pour the finished mixture into the prepared mold(s), filling it just below the top rim. Sprinkle the top with the remaining Parmesan. Bake on the middle rack of the oven until the top is golden brown and lifted about 2 inches (5 cm) over the edge of the mold, 25-30 minutes (15-18 minutes for the ramekins). Do not be tempted to open the oven during baking or the soufflé will fall. Serve immediately. 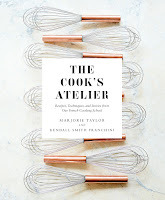 Jenny's notes: First, check out the wooden spoon sent from the folks at The Cook's Atelier for a holiday gift. I saved it to use with their cookbook so I used it for the bechamel part of the recipe. When it said to whisk, I just used the spoon, not sure if I should have also used a whisk. Speaking of equipment, I don't have copper bowls; I just used my KitchenAid to beat the egg whites and thought it worked fine. As far as ingredient replacement, I used 8 ramps for the 8 stalks of green garlic. I cleaned them very well and trimmed off the roots, but used the entire ramp from bulb to leaf. I ripped the ramps up into pieces before infusing with the milk, hoping for more release of flavor. I could taste it in the souffle but thought it was well-balanced with the other flavors. I only had canned Parmesan so I used a brick of manchego for all the cheese parts of this recipe. Manchego is one of my favorite cheeses. I also decided to leave out the dry mustard, but ended up wishing I'd had one more flavor, maybe. 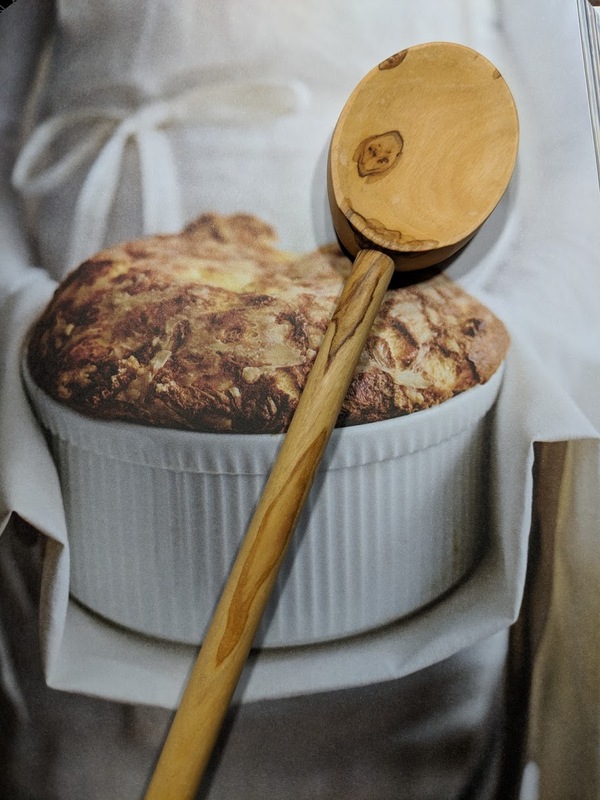 Souffles are not hard, but the one thing that really helps is having everything ready before you start. That includes the dish! This is a beautiful cookbook, but with its size and heft, it would be easy to recluse it on a coffee table. The recipes are highly seasonal and often focused on gatherings, holidays, and occasions, so there is a lot of good fodder for entertaining. The photography will make you wish you attended this cooking school, maybe on jam day. 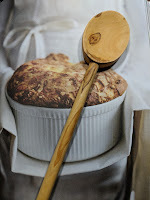 Other recipes I looked at: Almond-Cherry Galette, Gougeres, Lemon Soufflés. 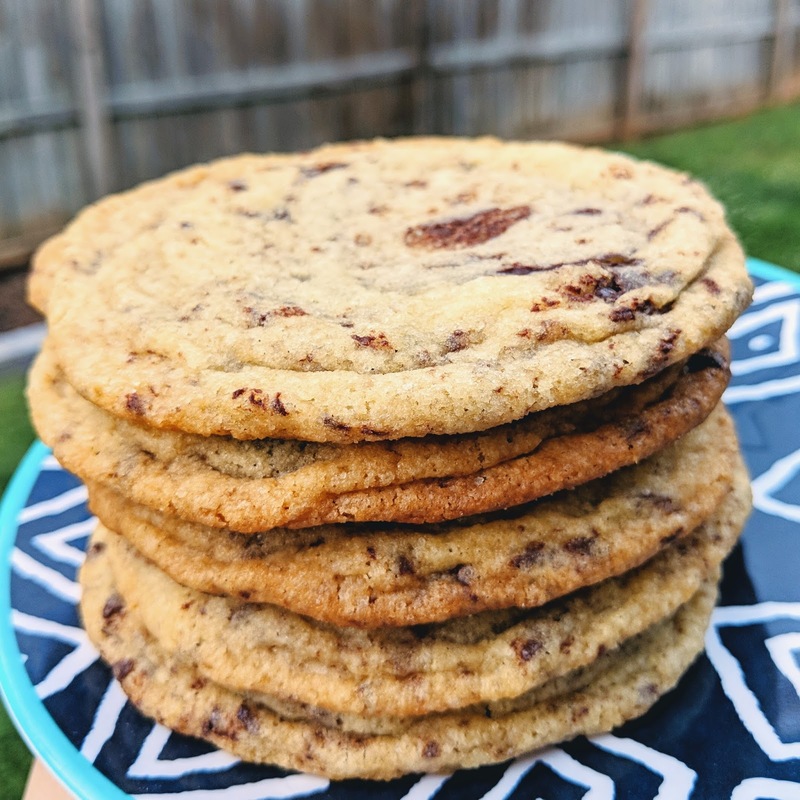 I have a soft spot for chocolate chip cookie recipes, chocolate chip bar cookies, you name it. I"m always willing to try a new recipe to see how it varies from others. Will it replace my favorite? 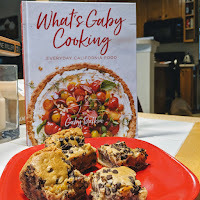 When I came across this recipe in What's Gaby Cooking: Everyday California Food by Gaby Dalkin, I knew I'd have to try it. The hardest part with these cookies is waiting for the cooling time, but they are worth it! (I guess it makes up for the time saved by melting the butter to start with.) Even my co-worker who loves chocolate chip cookies more than anything demanded the recipe. Preheat the oven to 350 F. Spray a 9x9 inch baking pan with nonstick spray and line it with parchment paper. In a large bowl or stand mixer, combine the melted butter and brown sugar and mix with a wooden spoon or the paddle attachment for 1 minute, or until combined. Add the vanilla and eggs and mix, scraping down the sides of the bowl, until fully incorporated. Add the flour, baking powder, and baking soda and slowly mix until just combined. The batter will be a bit stiff, but that's normal. Fold in almost all of the chocolate discs, leaving a few for sprinkling on top. Spoon the batter into the prepared baking pan, sprinkle with the remaining chocolate discs and Maldon sea salt, and transfer to the oven. Bake for 30 minutes. The top should be golden brown and still have a slight jiggle when gently shaken. Remove from the oven, place on a wire rack, and let cool for at least 2 hours before cutting and serving. If you want to speed up the cooling process, transfer to the fridge for 30 minutes and then slice and serve. 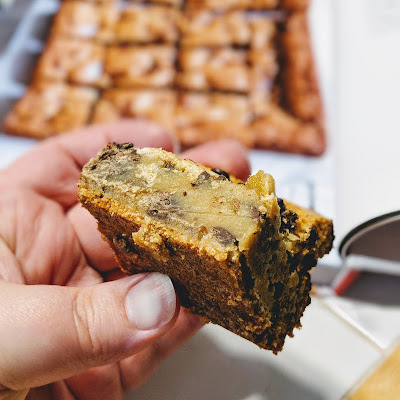 *Notes from JennyBakes - I had leftover gluten free mini chocolate chips from my sister's visit, so I used those instead. Rather than sprinkling on sea salt, I added 1/2 tsp of regular salt to the batter, and felt this was a good choice (I'd just rather have salt throughout than as an accent.) I also baked the bars at least 10 more minutes than the recipe calls for, and still didn't have the dark golden brown that is in the cookbook picture. So mine may have been a bit more gooey, but after being overnight in the fridge, that turned into the kind of caramel-like middle that you can see in the first picture. These are thick, and I wonder what would happen in a 9x13 pan. 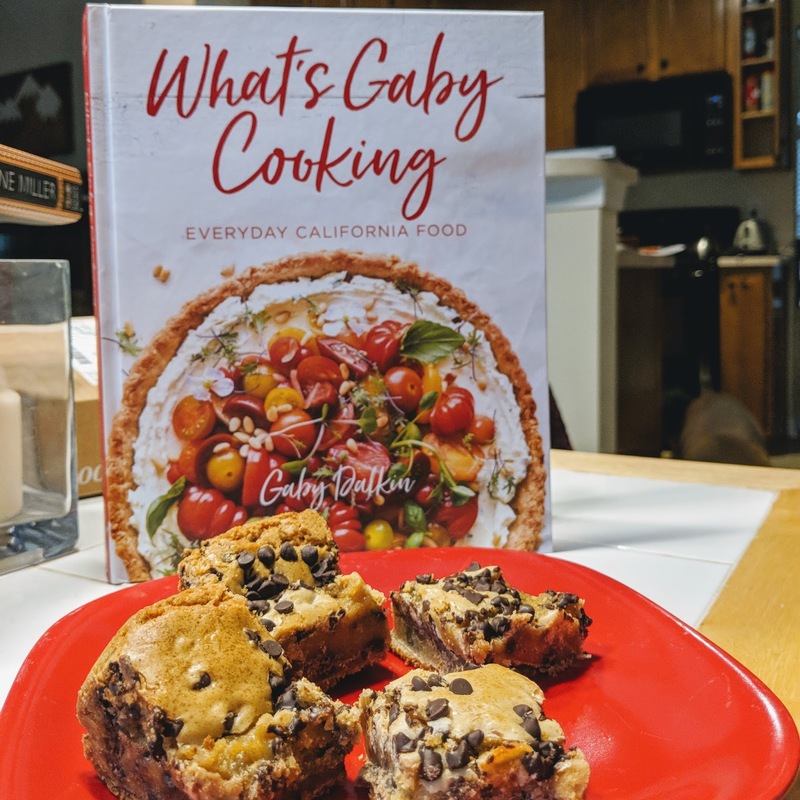 I have my eye on some other recipes in this book, but they felt more summery than our weather has prepared for, even in the south. 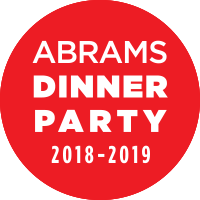 Those include "Breakfast Flatbeard with Ricotta and Strawberry Basil Jam," "Chicken Larb and Coconut Rice Bowl," "Summer Chipotle Cobb Salad," "Chocolate Chip S'mookies,"and "Green Goddess Dip.